On March 1, the Food and Drug Administration (FDA) approved Odactra, a drug developed to treat house dust mite (HDM) allergies. The medication is manufactured by UK-based company Catalent Pharma Solutions Limited for Merck and its subsidiary, Sharp & Dohme Corp.
HDM allergies arise from a reaction to the tiny bugs, which are common in household dust and feed on people’s and pets’ skin flakes. 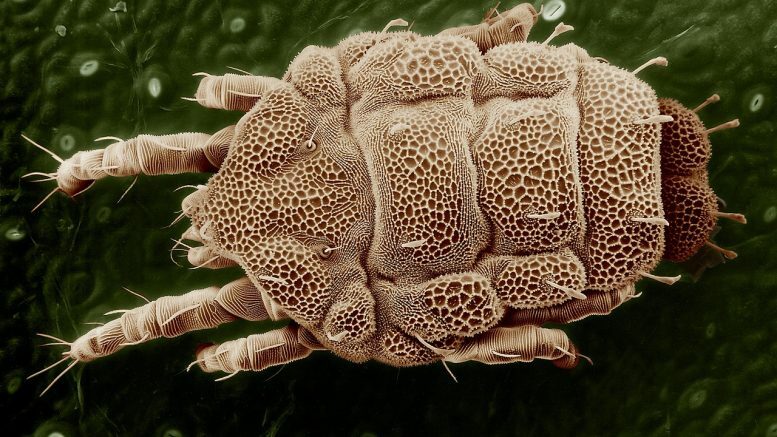 Dust mites are microscopic creatures and are close relatives of spiders and ticks. HDM’s favorite places in people’s houses are carpets, rugs, children’s toys, curtains and drapes, mattresses, beds and bedding, and furniture (especially when upholstered with cloth-like material or fur). People with allergies to HDMs may experience a runny nose, congestion, sneezing, watery and itchy eyes, and a cough. Merck’s drug trains the immune system of people with HDM allergy to decrease the severity and frequency of the immune system response and therefore allergy symptoms. Odactra was designed to be administrated sublingually (under the tongue). This made Odactra the first allergen extract that treats HDM allergies and is administered that way. The drug is indicated to treat allergic rhinitis (nasal inflammation) with or without conjunctivitis (eye inflammation). Odactra was designed to treat people who are 18–65 years old. Peter Marks, M.D., Ph.D., director of the FDA’s Center for Biologics Evaluation and Research, said that house dust mite allergies can negatively impact people’s lives. He added that Odactra’s approval provided patients with a way to address their symptoms that is an alternative treatment to allergy shots. Clinical trials were conducted in the United States, Europe, and Canada. About 2,500 people participated in the study to evaluate Odactra’s efficacy and safety for patients. Participants were split into two groups: the first group took Odactra, and the other took a placebo pill. During the study, both groups reported their need to use allergy medications and their symptoms. Compared to the placebo group, participants on Odactra experienced a reduction in their symptoms of about 16-18%. Their need to take symptom-relieving allergy drugs was decreased as well. In order to experience a noticeable benefit, Odactra should be taken once every day under the tongue for about 8-14 weeks. However, a patient cannot stop using Odactra without losing the benefit. Patients should avoid taking Odactra without permission from a healthcare professional with experience in treatment and diagnosis of allergic diseases. The first dose of medication is taken under the supervision of a healthcare professional. For half an hour after the first dose is taken, the patient will be observed for potential adverse reactions. If there are no adverse effects, the patient can take Odactra at home without supervision. Like most drugs, Odactra has its side effects. During the study, participants reported itching in the mouth and ears, nausea, and swelling of the tongue or lips. The most dangerous side effect of Odactra is an allergic reaction to the medication, which can be life-threatening according to prescribing information. This explains why Odactra should be taken under the supervision of a healthcare professional initially. Doctors should prescribe auto-injectable epinephrine to patients with an Odactra prescription, since epinephrine will save their life in case of an allergic reaction to the medication. Patients receiving other sublingual allergen extracts get a prescription for epinephrine as well. Additionally, Odactra has a Mediation Guide that should be distributed to all patients who purchase the drug. Be the first to comment on "FDA Approves House Dust Mite Allergies Treatment Odactra"